The French ‘living legend’ Valentin Clastrier is generally regarded as the inventor of the modern hurdy-gurdy: in his hands it has become a virtuose sound machine. 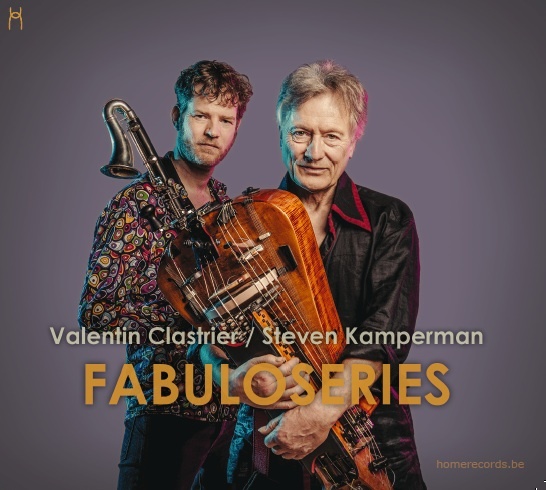 Clastrier started an unusual duo with the impassioned Dutch clarinettist Steven Kamperman. With mesmerizing drone tones and compelling rhythms as a base, chromatic melodies intertwine with fabulous sounds and intense improvisations. A spectacular duo that definitely ‘rocks’! Valentin Clastrier is perhaps best called the godfather of modern hurdy-gurdy. Over the years he transformed the originally medieval instrument into an electro-acoustical musical vehicle of buzzing magnificence: orchestral in scope, with innovative tonal possibilities utilising treated sounds and chromatic melodies which he displays to astounding effect in his collaboration with global-modal-jazz-crossover clarinettist, composer and arch-improviser from the Netherlands, Steven Kamperman. The duo’s album, Fabuloseries, a set of tone-poems of symphonic sweep, had multiple reviewers thumbing their thesaurus for fresh ways of describing their “extraordinary sound palettes”, “remarkable imagination” and “unprecedented inventiveness”. Subscribe to my newsletter and download some free tracks from my newest CD!